It is uncommon on this unceded Coast Salish land called “Vancouver” to see the radiant faces of so many black people in one room; more familiar are we with those rare, unexpected moments when we see another solitary “i” in this city, as Ian Williams so aptly notes in “Our eyes meet across yet another room,” that the on-stage dialogue last June between Dionne Brand, Christina Sharpe, and David Chariandy felt like a long-awaited gift. We left invigorated. What was the work of words for us as students, activists, creators? David Chariandy—our professor for only three months that summer but someone we now envision as a lifelong mentor—encouraged us to follow this thread. 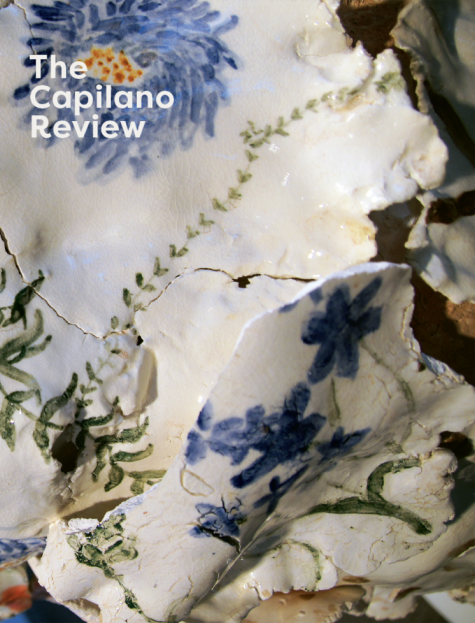 He connected us with The Capilano Review’s former editor, Andrea Actis, another new mentor, and thus this special issue of TCR on “the work of words” was born. DC: Earlier, Christina was generous enough to visit my class. Some of my students are here right now. And there was a moment in which you invited us—in this powerful way—to contemplate what is the weather like here, how do particular ecologies of anti-Blackness work out in specific sites of the African diaspora? CS: Right. How do you have microclimates where you can actually get something else done, so that there are lateral moves where you have a kind of microclimate. You’re working toward liberation, but you have these micro-moments—like in Bail Out Black Mamas in the US. You’re working toward prison abolition, and you’re working toward the end of cash bail. But you have these moments where, in the midst of working toward that, you also do this other thing, I think of those as microclimates within a larger climate of violence in which you try to create a sustainable life. In which you don’t accede to everything that would try to suffocate you, to all of the forces that are intent on that kind of suffocation. DC: Which is why, I must say, I find work written by both of you so profoundly important in that you allow us to chart those connection between those microclimates, those different spaces, landscapes, and geographies. Your projects have never been confined to specific national or regional spaces. They prove themselves global in orientation while demonstrating close attention to specific places. DB: I also think that just writing, itself, is that. It creates those microclimates, if you will. Because to make a poem, for me, is to create the space where not only the vulgar and brutal exists but language opens places where someone might actually recognize themselves outside of the short instrumental stereotypic location that in public they occupy—or in the public they occupy. So, I think writing is in itself a space where that happens or can happen. the soles of her shoes, a-wa a-wa. The list could be longer.